This museum has done a lot in the past few years to make itself appealing to all ages. 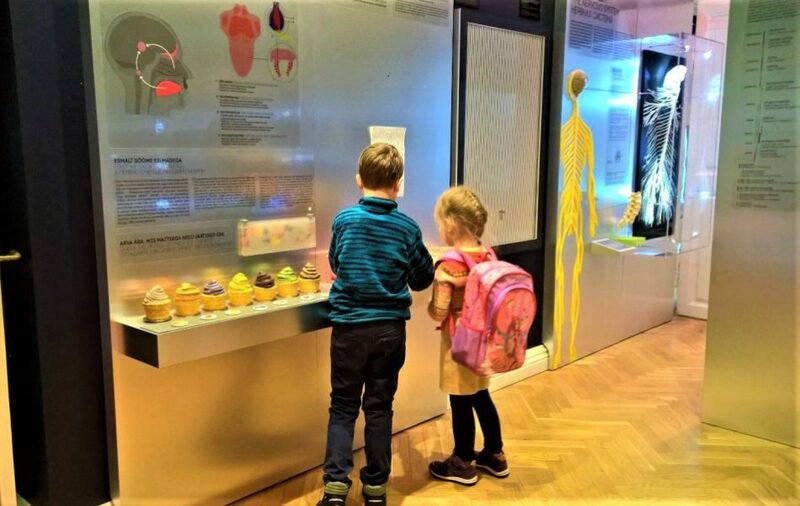 Full of hands-on exhibits and touch screen activities that teach about the human body. And, a lot of effort has been put into curating the displays with clear information on each item. Each room has a theme of its own: a section dedicated to vision, to the senses, cell & DNA etc. An excellent place for (older) children to learn about health in a fun and interactive way. 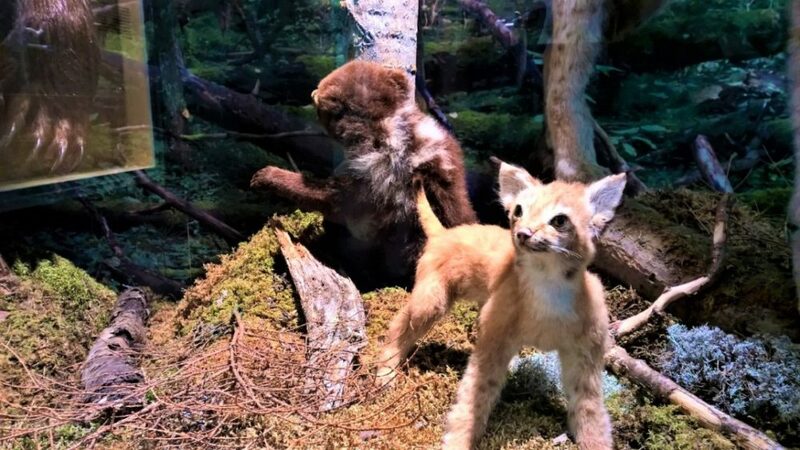 Just 1-minute stroll from the Health Care Museum is the ESTONIAN MUSEUM OF NATURAL HISTORY. 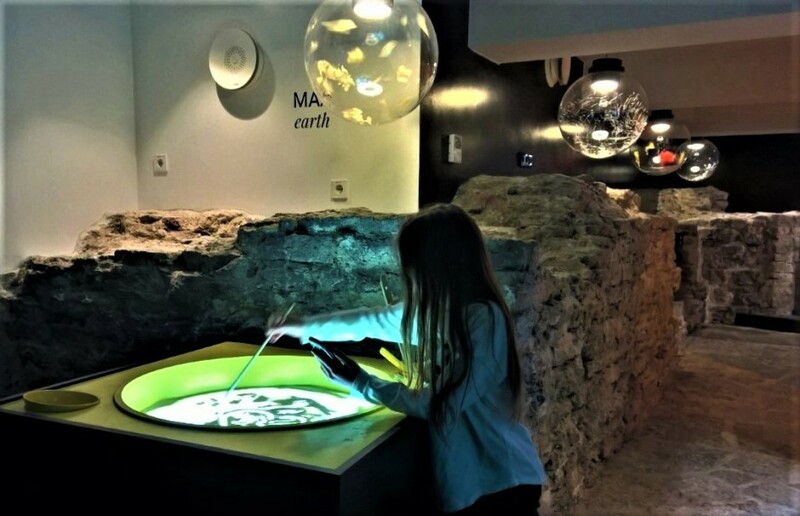 A small museum, but has some great things making it perfect for kids. I personally love the exhibition introducing Estonian mires. You can try out a bog crossing simulator, where you have to make right moves to avoid sinking in. 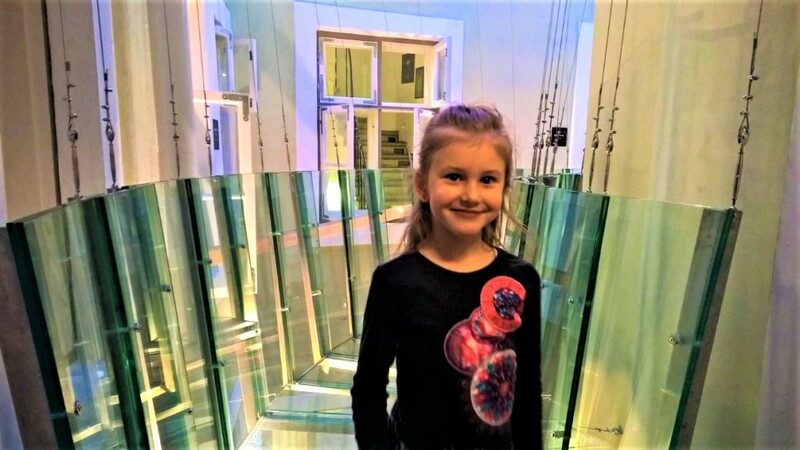 They also have a lovely exhibits of birds and fish of Estonia, and a shoes-off discovery room with some interactive displays. 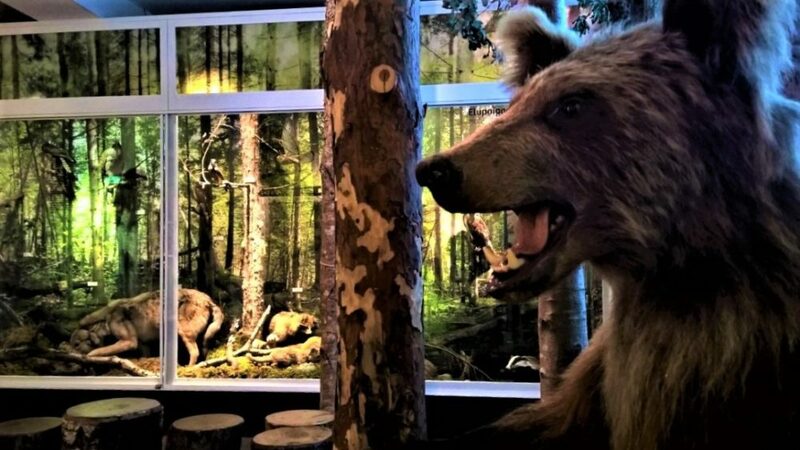 Younger kids will enjoy the stuffed animals in the hall of forests. The temporary exhibition „Fathers and sons“ focuses on fathers as caregivers in the animal and plant kingdom. Get to know who is the most home-oriented male and what kind of fathers are wolves. This special exhibition is open through December 2019. From stuffed animals to real creatures… A day spent outdoors is any day better than spending it with electronic gadgets. TALLINN ZOO is home to more than 10,000 animals belonging to 500 species or subspecies from Australia to Alaska. There is plenty to see, from viewing the fascinating polar bears in their new spacious „world“; watching Carl, Fien and Draay- the three African Elephants, the Amur leopards, the black rhinos… Tallinn Zoo has an impressive variety of cranes and other birds, and one of the best collections of mountain goats and sheep in the world. Each animal enclosure has facts on display giving you the opportunity to learn more. The zoo is spread across 89 ha of natural forest and landscapes, so there is a lot of walking involved. You might want to grab a bite at one of the cafeterias. How to get there? Take bus no. 22, 41 or 42 from Freedom square (Vabaduse väljak) and leave the bus at the „Zoo“ stop. 3-4 minutes walking from the central Town Hall Square you can go behind the scenes of a puppet theater show. 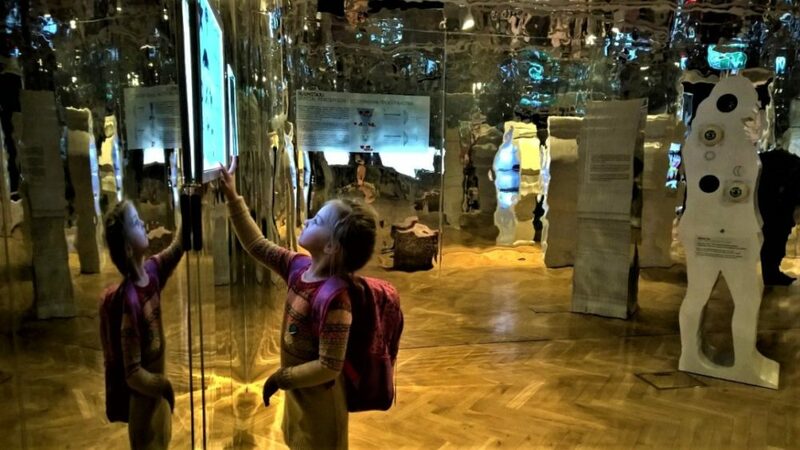 The main exhibition starts from the very basics which means you can see what happens to water, fire, earth and air at the puppet theatre. 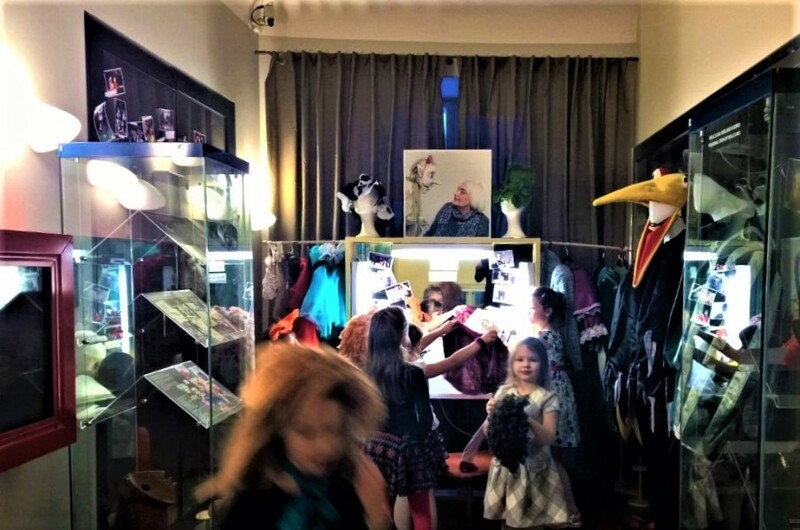 You will also learn about five most well-known puppet types: marionettes, rod and glove puppets, table puppets and body puppets. For those of you with kids under the ages of 6, skip this attraction. The older ones, if they need to burn off some steam- walking up the 258 steps up to the viewing platform is a great way to do this. St.Olaf’s Church was once the tallest building in the world- around the year 1500, the building reached a height of 159 meters. It was probably originally built so tall to be used as a maritime signpost, which made the city of Tallinn visible from far out at sea. But like people, it has gotten shorter in old age… The tower has frequently been hit by lightning. After several rebuilds, the spire is now 124 meters (406 ft) high. An interesting fact: from 1944 to 1991, the KGB used it as a radio tower and surveillance point. The tower is open from April till November. Feeling out of energy after the climb and need an extra boost? 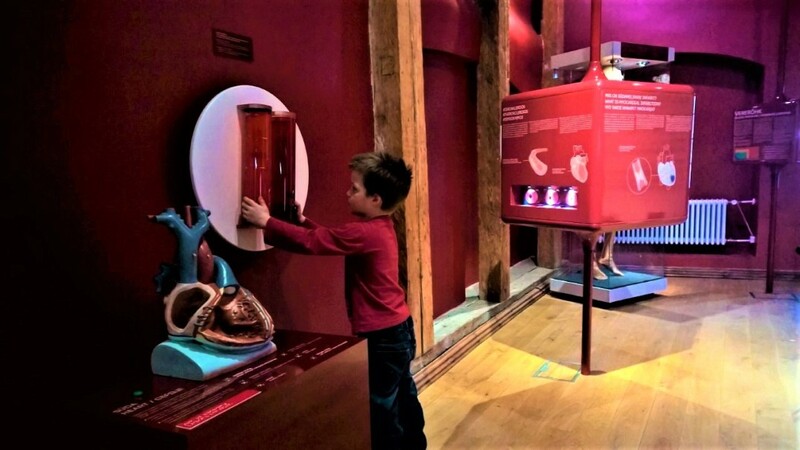 5 minutes walking from St Olaf is the ENERGY DISCOVERY CENTER – a science museum with a focus on, yes, you guessed it, energy. 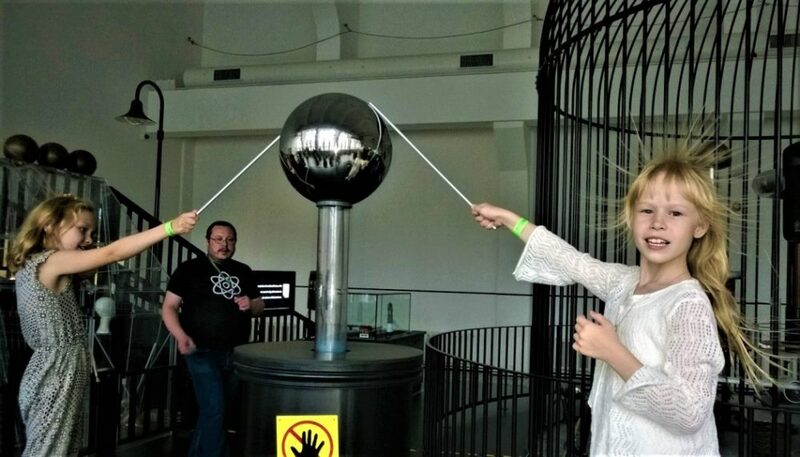 Couple of times a day there is an awesome indoor lightning demonstration and static electricity demonstration which is fun to watch. The SEAPLANE HARBOUR is the jewel in the crown of Tallinn kids-friendly attractions in my opinion. 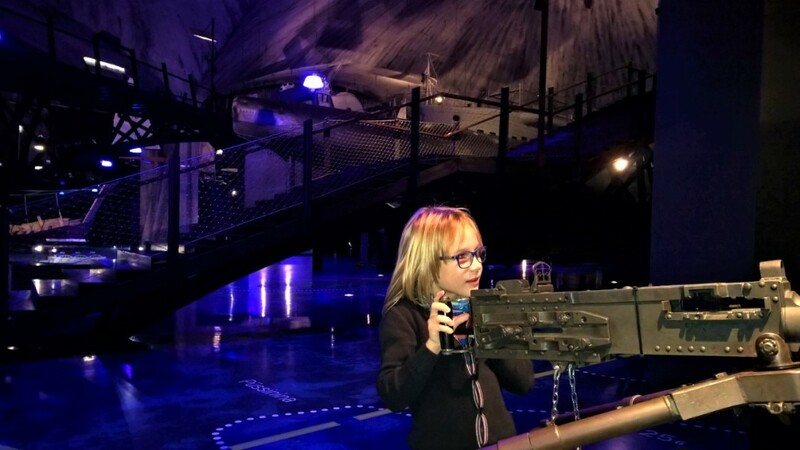 This maritime museum can easily fill half a day- flying on a plane simulator, shooting down planes with a machine gun, climbing down into the Submarine Lembit from 1936 and visiting all the small rooms inside, learning about a variety of sea related things- mines; buoys; ice yachts. You can also put on a uniform and have a photo taken. Meanwhile, have a tasty snack at the cafe Maru with views over the triple hangar- the building in itself is a piece of fascinating architecture. How to get there: Take bus no. 73 from next to Tammsaare Park (stop: Viru) and leave the bus at the „Lennusadam“ stop, in front of the Seaplane Harbour. Hope your kids have a great time exploring!